Avast! Free Antivirus for Mac outperformed competitor products in the independent tests! Compared to Windows users, Mac users have been relatively unaffected by malware attacks. Cybercrooks, however, are just as aware as antivirus vendors are about Mac vulnerabilities. With the growing number of Mac users, cybercrooks see more potential for malicious activities, especially as Mac users tend to have a false sense of security and not usesecurity software. You only have to read this blog to learn that cybercrooks are adapting Windows malware to target their Mac counterparts. We should never underestimate Mac security. Avast! Free Antivirus for Mac offers free protection against the latest malware designed to attack Mac operating systems. 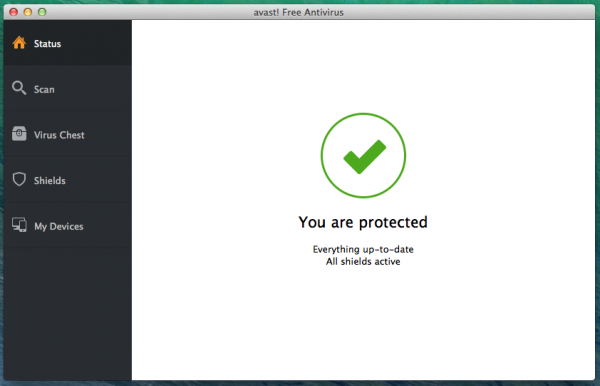 As all other Avast security products, the Mac version participates in frequent, independent tests. Recently avast! Free Antivirus for Mac was not only certified by AV-TEST but it also received 100% in the latest Mac Security Test & Review conducted by AV-Comparatives in July-August. We are proud to share the results with you! More about AVAST’s performance in both tests. AV-TEST GmbH is a leading worldwide operating service provider for IT security testing services. The latest test was focused on Mac OS X security products and took place in July and August 2014. Eighteen AV products participated, and the tested platform was MacOSX 10.9.4. The results can be found here. Below is a short summary of AVAST’s performance! Q: Which product was tested? Q: Which version was tested? Q: How did avast perform in the detection on-demand test? Q: How did avast perform in the on-access detection test? Q: How many false positives were recorded in the on-demand and on-access tests? A: None; avast didn't make any mistakes and recognized all malware correctly! AV-Comparatives is an independent not-for-profit organization offering systematic security tests of antivirus products for PC and Mac, as well as mobile security solutions. The test conducted in July and August 2014 reviewed the performance of eight security software for OS X 10.9 Mavericks. Last but not least, a picture is worth a thousand words, and we believe your Mac is worth it! Download it here.